Keeping a carpet clean can be a chore, especially if you have children or pets. Sometimes, the carpet needs a few stains removed. Other times, it needs the whole area cleaned. If you have animals, there are times when you want to remove odors. Keeping a carpet clean can be a chore, especially if you have children or pets. 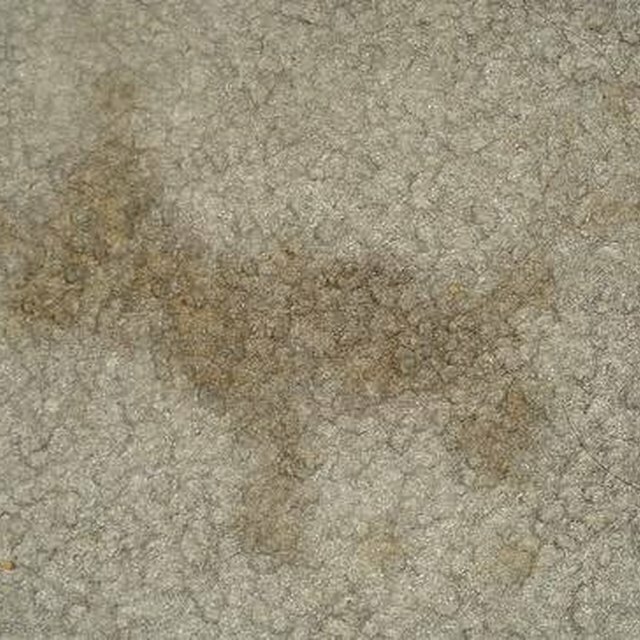 Sometimes, the carpet needs a few stains removed. Other times, it needs the whole area cleaned. If you have animals, there are times when you want to remove odors. You can spend money on commercial products, or you can make your own carpet cleaning recipes. For light to medium stains, mix 1/4 cup of white vinegar 1 one cup of warm water. Lightly spray the area, wait a few minutes and blot with paper towels. Ammonia and warm water is another solution. Use the same amounts. For difficult stains, mix 1/4 cup of salt, 1/4 cup of borax and 1/4 cup of white vinegar. Rub the paste into the carpet. Leave it for two to three hours and then vacuum. To deodorize and clean the carpet, first vacuum. Sprinkle baking soda on the carpet. To clean the whole carpet, mix 1/4 cup of dish detergent and a gallon of water. Using a brush, clean small areas and blot up the excess with paper towels or a clean white cloth. Let it dry and then vacuum. Club soda is carbonated water. It works on light to medium stains that are recent. Dribble the soda onto the stain being careful not to saturate the area. Blot the area with paper towels or a clean white cloth.